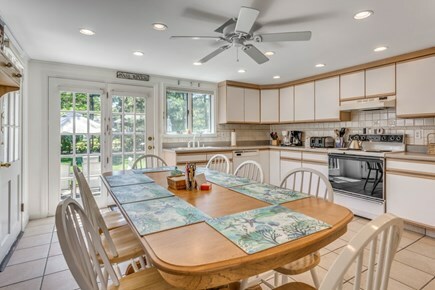 Walk to Salt Water beaches, 4 bedroom, 3.5 bath home! Bass River/Smuggler's Beach only 2/10th mile away! Bedroom with 2 full size beds. 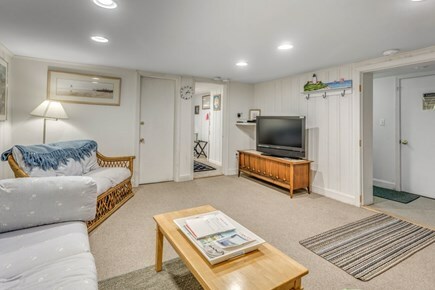 Beautiful Beach House - walking distance (2/10 mile) from Bass River/Smugglers Beach on the warm south side. Immaculate, updated and spacious 4 bedroom, 3 and 1/2 bath ranch style home with first floor laundry. 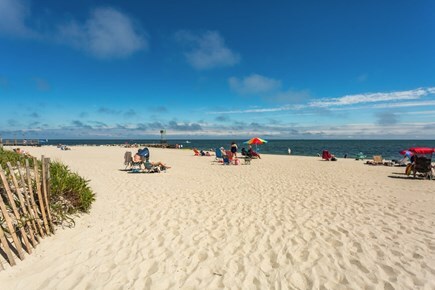 Swim in the clean, warm water Nantucket Beaches which are an easy 5 minute walk. 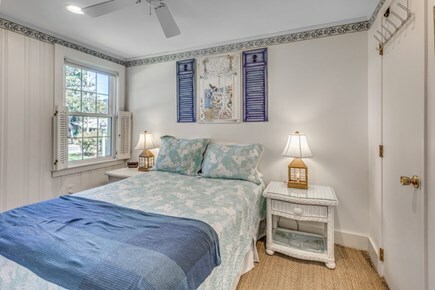 New for 2017 - central air conditioning and King size bed in Master Suite! Main level has 4 bedrooms, 2 1/2 baths, spacious eat in kitchen, washer/dryer and ceiling fans in every room. There's an additional 750 s.f. of living space in the lower level; den, family room and bathroom with shower. 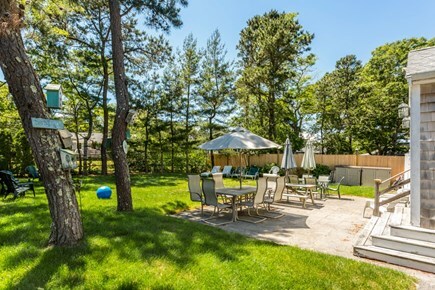 Enjoy the enclosed back yard with patio, gas grille and outdoor shower. Parking, off street, is available for 4 cars. Wireless internet(WIFI), Cable TV and DVD player also available. 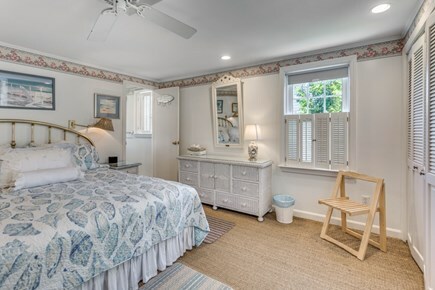 Area amenities include fine dining, miniature golf, fishing, golf courses, driving range, antiquing, bike trails and the ferries to Martha's Vineyard and Nantucket! Lots of activities for kids recreation: batting cages, miniature golf, trampolines, go-carts, bowling and lots of ice cream places! (There is a Nonrefundable booking fee of $110 in addition to rent). Additional pricing info: State and local taxes of 14.45% will apply. We just left your home and wanted to let you know how much we enjoyed staying there. It had everything we needed for a great stay and plenty of room for all of us. We are interested in renting again for next year. Thank you so much! We had a fabulous vacation. 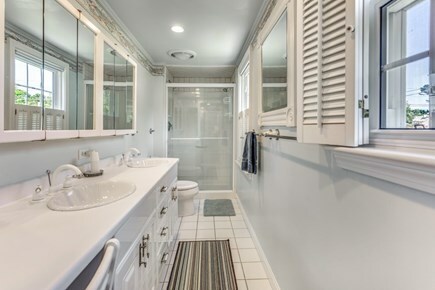 Your home is beautiful, spacious and very inviting. The beach was so easy to get to!. We hope we will return. We had a nice week in this comfortable beach house. We love walking to the beach and playing in the fenced in backyard. Thank you for a wonderful week on the Cape! What a vacation! You have a beautiful home and we had a great stay. There was more than enough room for the 6 of us. 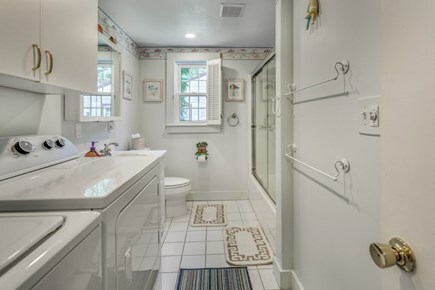 The decor is adorable - very inviting. It very much feels like home here. We had all that we needed, and found use for the games in the living room closet as well! We had a great time on the Cape this year and look forward to returning. We were very surprised at how beautiful the house was and the short walk to the beach. The pictures on this web page do not do it justice. The yard is kept up very nicely and so is the house. Plenty of room for my large family. The owners kept in touch with us, and you could tell that they really cared and wanted to make sure that our stay was just right. The house is beautifully decorated and made us feel very comfortable in it. 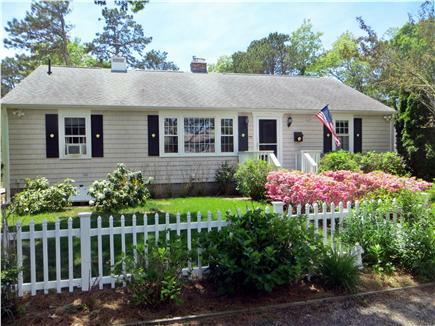 Thanks so much, Ellen, for letting us use your home and make more great Cape Cod memories. 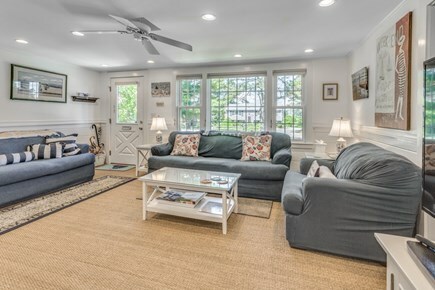 This lovely home on Wilfin is the perfect retreat. 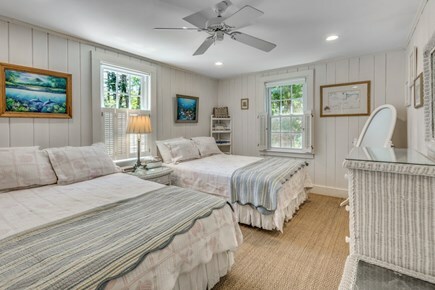 There is so much space for added friends and family, and the distance to the area's best beach, and to shopping or dining, could not be more convenient. We have stayed several times at this home. I highly recommend it. 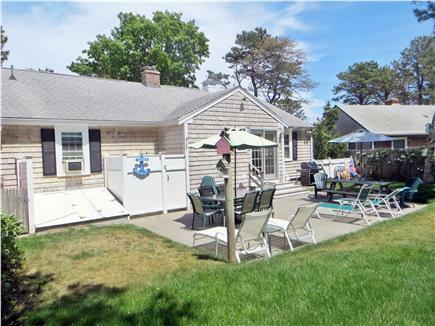 "Everything is wonderful here - beautiful house, lots of rooms and extras, lovely yard, great location to beach. Having a great time, sorry to have to leave but hope to come back again in future." walk to the beach and very good location. The weather was on our side, We went to the bonfire on the beach, it was nice. Thank you also for the bottle of wine, we enjoyed it. So like I said, great week-end and maybe we will ask to rent it again in the future. We had a wonderful vacation at this home! We would definitely rent again. We were 6 adults part of the week and a 2 1/2 year old, a 1 1/2 year old and a 3 month old. The yard was awesome...so much room. Beautiful birdhouses throughout the yard...all fenced in....outdoor shower, etc. It was awesome. Being so close to the beach was wonderful. I can't say enough about the owners and their commitment to making sure everything was as we expected. They were right there if you needed anything at all. 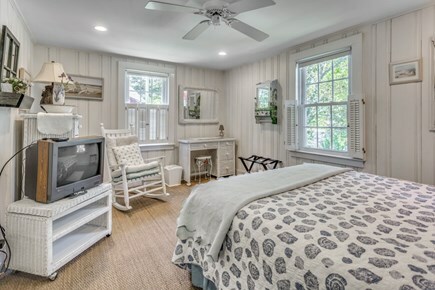 The house was immaculate with so many nice touches...the beds were comfortable in every room, the bathrooms were clean, the kitchen was stocked with everything you could possibly need. The attention to detail from the owners was wonderful. We had the best time with our new growing family. I would rent this house again in a heartbeat. Our first trip to Cape Cod will certainly not be our last. This house was well equipped with everything we needed for a wonderful stay, including all the utensils for a lobster bake! Super close to the beach and about a mile away from the windmill beach (which is on the river with calmer waters). 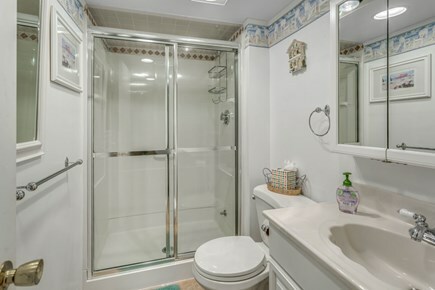 The shower in the master bedroom was amazing! We had several children who loved the large back yard and all the birds and bird houses. We hope to come back many more times and will hopefully stay at this gem.